2018/19 ADULT Classes run ongoing October 1st – August 16. New students may join in anytime to start their class sessions. Join our fun group of artists who are improving their drawing and painting skills while enjoying the camaraderie of creating fabulous works of art together. Whether you are the beginner student looking for a creative distraction, or the serious artist seeking to establish painting as a profession, your art lesson will be individualized to challenge your level of ability as you learn to render a better landscape, still life or portrait. You will learn methods for seeing and correcting shapes, values, form, proportions and edges; understand and learn to see mid-tone values for shadows and lights; develop rendering and application techniques for the finished drawing and painting; and understand color theory for mixing paint as seen in nature. In the spring, all students participate to showcase their best works at The Annual Student Exhibition. Rosemarie Morelli Art Studio & School provides quality fine art instruction, advancing the artistic skills of her students. The art classes also caters to artists seeking a career as an exhibiting or professional artist. Those students will enjoy a more traditional, rigorous training in the tradition of 19th century French Academy. 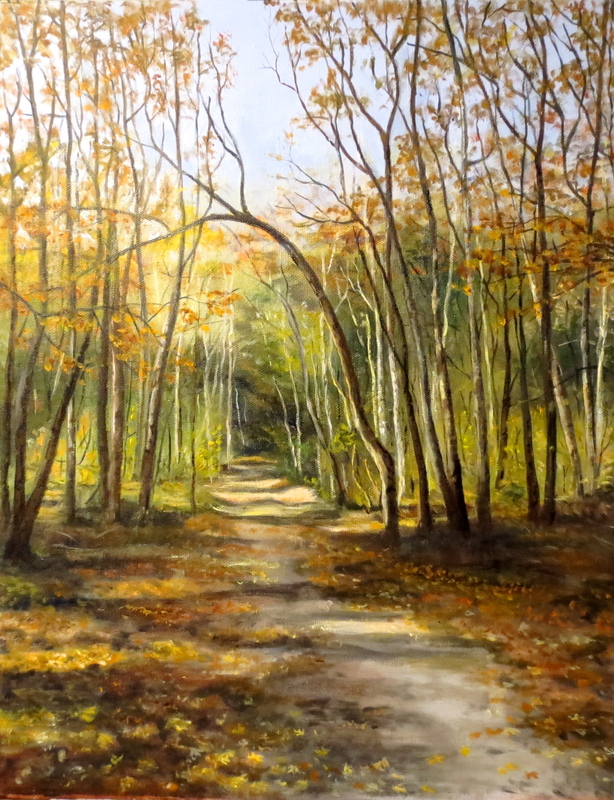 Plein air painting will be offered to day classes for those who are interested. Students may work from life or photo images of landscapes, street scenes, still life, portrait, or animals — whatever is of interest as you build skills and confidence to take on more ambitious projects, or if you prefer, continue to draw and paint at a fun and relaxed pace. All students receive individual instruction tailored to their personal goals and speed. Learning to paint is akin to learning to play a musical instrument. Students attend weekly on a continuous basis to best develop their skills until taking a personal break for summer or a lengthy leave of absence when needed. Tuesdays 12:30-3:00 pm – October-June only, students may transfer to another class time during summer. Fridays 10:00 am-12:30 pm – October-June only, students may transfer to another class time during summer. Classes run continuously from OCTOBER through AUGUST, excluding major holidays and public school winter holiday break (Christmas through New Years.) Space is guaranteed to continuing students. Payment is due every 12-week cycle. Students are automatically re-enrolled at the end of each payment cycle. Students who need to stop or take a break must notify instructor ahead before the end of a session to receive a pro-ratee. Supply list will be provided upon registration and deposit received. Schedule and prices subject to change annually. New Students: Kindly mail the 1-time registration form below with your $100 deposit check made out to Rosemarie Morelli, 399 North St., Walpole, MA 02081. Deposits are 100% refundable should classes fill prior to Registration receipt or if school cancels class.